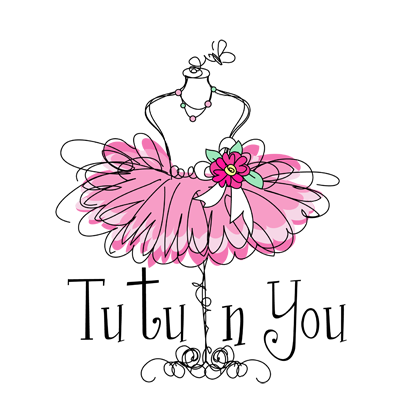 This baby tutu set features a bright pink traditional cut tutu embellished with a shimmer butterfly embellished with rhinestones. 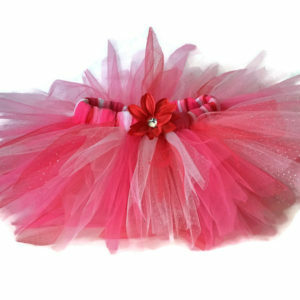 We take great pride in the fact that the tulle used to create this tutu is “American Made”. Who doesn’t butterflies and tiaras? 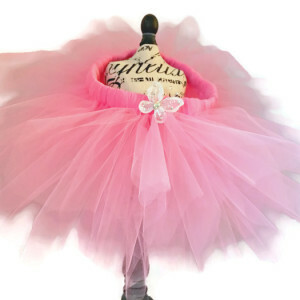 Soft chiffon like tulle has an exceptional quality and is flame retardant. 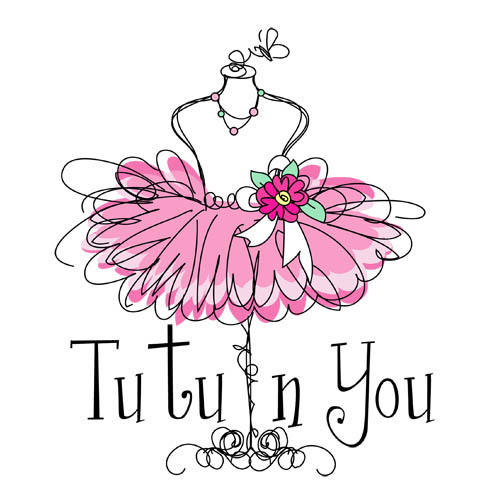 The tutu can be created in the color of your choice. 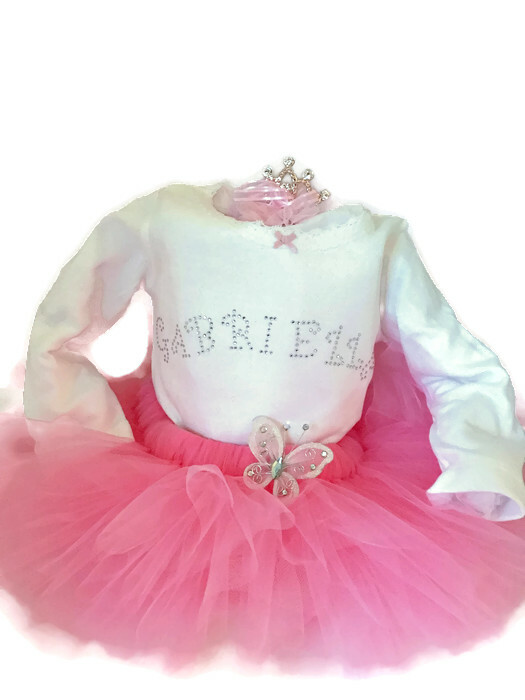 The onesie pictured in this listing is embellished with rhinestones to make it extra special. Please include name when ordering. 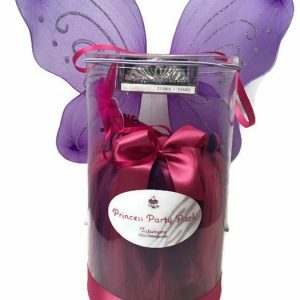 A matching tiara hair clip is the finishing touch for this baby set.